Dubbed the E Prototype for now, the car will get its public debut at the Geneva Motor Show this month and is one of Honda’s most advanced vehicles to date – thanks to a raft of advanced features. Built on a newly developed platform – which could be adapted in the future for models up to the size of the HR-V – the E is rear-wheel drive, with the motor mounted on the rear axle. That does compromise the boot space, however. Although official figures are yet to be confirmed, Honda says the compact EV will be able to go more than 200km (124 miles) on a single charge – with the Japanese brand assuming customers drive roughly 30 miles each day. The battery itself is based on the same unit used in the Accord PHEV that’s sold in the US and built by Panasonic. Honda also said the power output is comparable to similarly sized EVs, such as the Renault Zoe and Volkswagen e-Up – so expect it to develop around 100bhp. The battery is rapid charge-compatible too, as it’s capable of going from flat to 80% full in 30 minutes. 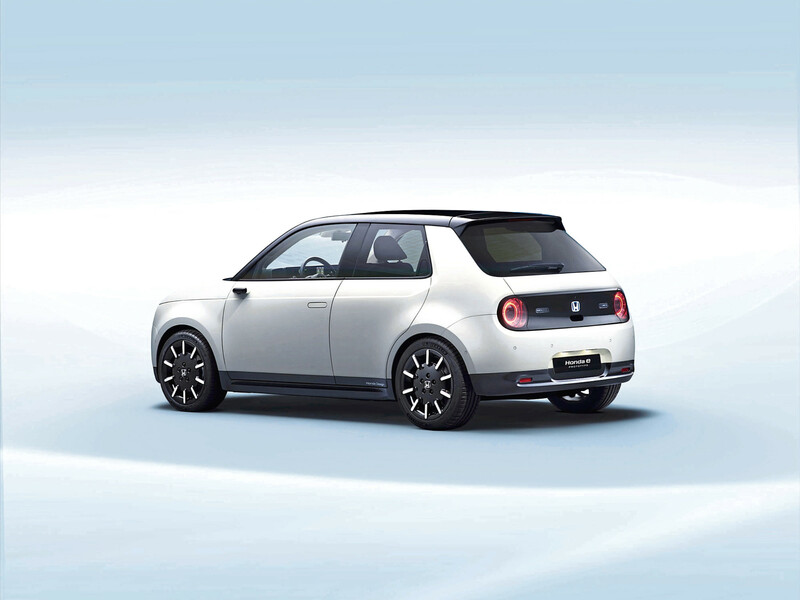 The biggest difference compared with the Urban EV concept is that the production car will only come with a five-door body shape for ease of use, with the car seating just four, as Honda claims that people using this car will ‘very rarely need five seats’. Inside, the E shows off the new completely digital dashboard, which features five screens and spans the width of the car. Instead of conventional wing mirrors, the vehicle comes with cameras mounted on the wings, with six-inch displays showing the images from each side. A rear-view camera will also be used, with the feed displayed where the mirror would normally be. Two other screens team up as the infotainment system, which uses a co-pilot set-up that allows the passenger to swipe new navigation instructions and other information across to the driver’s screen on the go. The rest of the cabin is very simple, with large buttons being used for the remaining functions. The model will be built in Japan, with European sales set to begin before the end of 2019. Deliveries are expected to start in the early part of 2020. 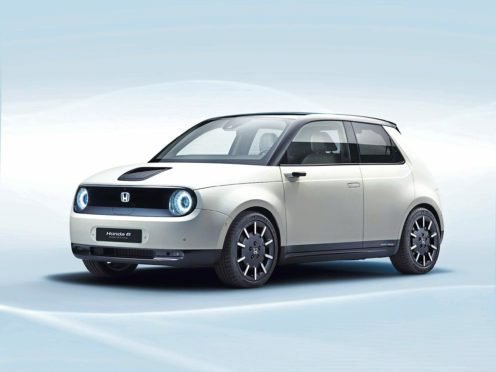 Pricing is yet to be announced, but Honda has hinted that it will be at the higher end of the current compact EV market – so expect a starting price around £30,000.